What Is a Subordinate Clause in Mortgage? Refinancing can help homeowners in several situations. Sometimes, homeowners refinance for a lower interest rate, and sometimes, they refinance for better loan terms. Refinancing can get a little more complicated, though, if you have liens on your property other than your first mortgage. For example, if you have a home equity loan and you refinance your primary mortgage, your mortgage lender will most likely require a subordination clause. A subordination clause in a mortgage ensures that other debts owed on the property are paid after the mortgage in the event of a foreclosure. What Is a Subordination Clause? A subordination clause is language in a contract that establishes that one of your debts is a higher priority than your other debts. Subordination in real estate refers to the order of liens on a property. A lien is a legal claim against your property. For example, when you obtain a mortgage, your lender has a lien against your property. This means that if you don’t make payments on your mortgage, your lender has a right to your property. This lowers the overall risk to your lender. Without language referring to the subordination of a mortgage in your contract, if your home goes through foreclosure, the liens will be repaid in the order they were obtained. For example, if you have a primary mortgage with a balance of $100,000 and a home equity line of credit with a balance of $25,000 that was taken out later, the primary mortgage will be paid back first if your lender forecloses on it and sells it. If your home sells for $125,000, then everybody gets paid back with no problems. If your home sells for $100,000, then only the primary mortgage will get paid back. The lender who gave you the home equity line of credit won’t get paid back. Because of this risk, some lenders may not agree to a subordination clause. When Do You Need a Subordination Clause? You typically need a subordination clause when you refinance your mortgage and you have other liens on your property. Mortgage lenders require their loans to be first in line. That way, if the worst-case scenario happens, and they have to foreclose, their loan will be first in line to get paid back. Your other lenders will be required to be in a subordinate position. Your other lenders or lienholders may not agree to take a subordinate position, though. For example, one type of lien is a tax lien. If you fall behind on your taxes, the IRS may put a lien on your home to ensure they get paid back. If you try to refinance, the IRS will have to decide whether or not to be subordinate to your new loan. They may agree, but if they don’t, then your refinancing deal may fall through. One area that your lienholders will take into consideration is your loan-to-value ratio. This ratio compares the amount you owe for all your outstanding liens to the value of your home. For example, if you owe $60,000 on your mortgage and you owe $10,000 on a home equity loan, then the total you owe for all your outstanding liens is $70,000. If your home is valued at $100,000, then you have a loan-to-value ratio of 70 percent. The closer your loan-to-value ratio is to 100 percent, the less likely it is that your lienholders will agree to a subordinate position. Some lenders will readily agree to a subordination clause, though. For example, the Department of Housing and Urban Development offers a loan program to help people who have fallen behind on their mortgages. Called a partial claim, this loan is subordinate, or secondary, when you take it out because it is taken to help with your primary mortgage. If you refinance your primary mortgage while you have a HUD partial claim on your home, HUD has a policy in place that says they will agree to keep their subordinate position. In other words, they will stay second in line if your home goes into foreclosure. Similarly, the California Housing Finance Agency also has a subordination policy in place for their loans. They have specific requirements that your refinance has to meet, though. Your refinanced mortgage must be a 30-year, fixed-rate loan, you must have made at least six months of on-time payments on your current mortgage and it can’t be a cash-out refinance or an adjustable rate loan. For the California Housing Finance Agency to agree to a subordination clause (also called resubordination), you also have to pay a fee and submit the required documentation, including an application and a preliminary title report. The best way to avoid having to deal with a subordination clause and the extra paperwork it entails is to prevent the situation from happening in the first place. For example, stay current on your tax payments and payments to contractors doing work on your home to avoid liens. If you’re considering taking out a home equity loan or line of credit, keep in mind whether you might need or want to refinance in the near future. Sometimes, it makes sense to refinance, even if you have liens already in place. To keep things progressing smoothly, talk to your home equity lender or other lien holders about your plans for a refinance. They should be able to advise you as to whether they’ll consider a subordination clause and about the cost and paperwork required to complete a subordination. In addition to considering your loan-to-value ratio, lenders will also look at the risk level of your refinance loan. For example, if you currently have a fixed-rate mortgage but you switch to an adjustable-rate mortgage, your lienholder may not agree to subordination because your overall risk profile has increased. If your primary loan is riskier then your financial situation is riskier, and that increases the chances that other lienholders won’t be repaid. If your lienholder is reluctant, but you still want to refinance, consider a cash-out refinance. With this type of refinance, you borrow more than you owe on your initial mortgage. You could use the cash to pay off your liens, preventing a subordination from occurring. You would need to work with a lender who will do a cash-out refinance, and you will need to have a high enough home value (ideally, one that has increased since you initially purchased the home). A higher home value means that if you went through a foreclosure, the lender could recoup most of their expenses, thus lowering their risk. You may also be able to find a lender who can refinance your other obligations as well. By coordinating a refinance for your mortgage and your home equity loan or line of credit, your lender can ensure that the secondary loans stay subordinate. Regardless of the option you choose, though, let your lender and lienholders know about your current situation. If everyone is informed, they can properly advise you and help the overall process go more smoothly. Nolo: What's a Subordination Agreement? What Is a CLTV Mortgage? Can I Refinance My First Mortgage Without Refinancing My HELOC? 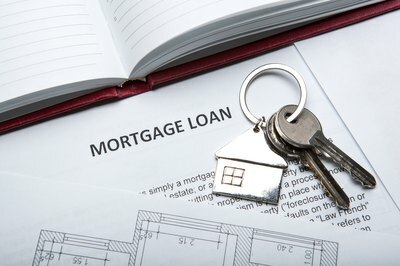 Can a Person Refinance a House if a Lien Is on the Property? 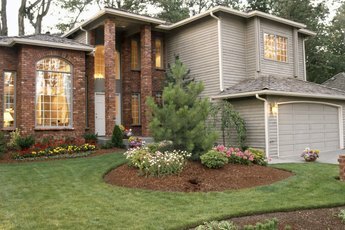 Can I Refinance if My Home's Value Has Decreased? Do I Have to Pay Back a Second Mortgage If the Property Is Foreclosed On? What Is a Puisne Mortgage? What Happens to Home Equity Loans in Foreclosure? What Is a Subordinate Mortgage? 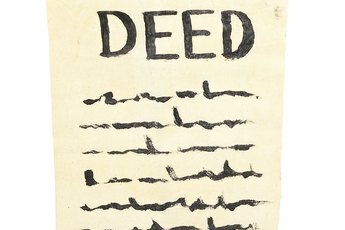 What Does Subject to Existing Deed of Trust Mean? 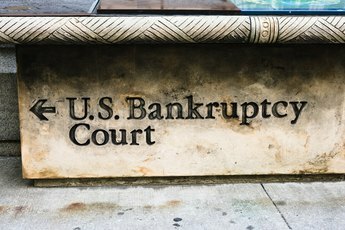 Will Filing Bankruptcy Take Care of a Lien?